Hi, everyone. Another new week and another new Creative Mondays blog hop party to join in the fun with . Happy Napping Day too. Ha!! I may just take a little nap after the gym today. I was up at 5 am to put the blog hop on. After this, I will be tidying up, making lunch boxes, walking Mollie the Collie all before I set off on my bike to the gym at 9 am for a spinning class and boot camp, that I have already booked. Mondays really tire me out for the rest of the week, but I love Mondays. I love Jess’s new English Rose dress: Elegantly Dressed And Stylish. 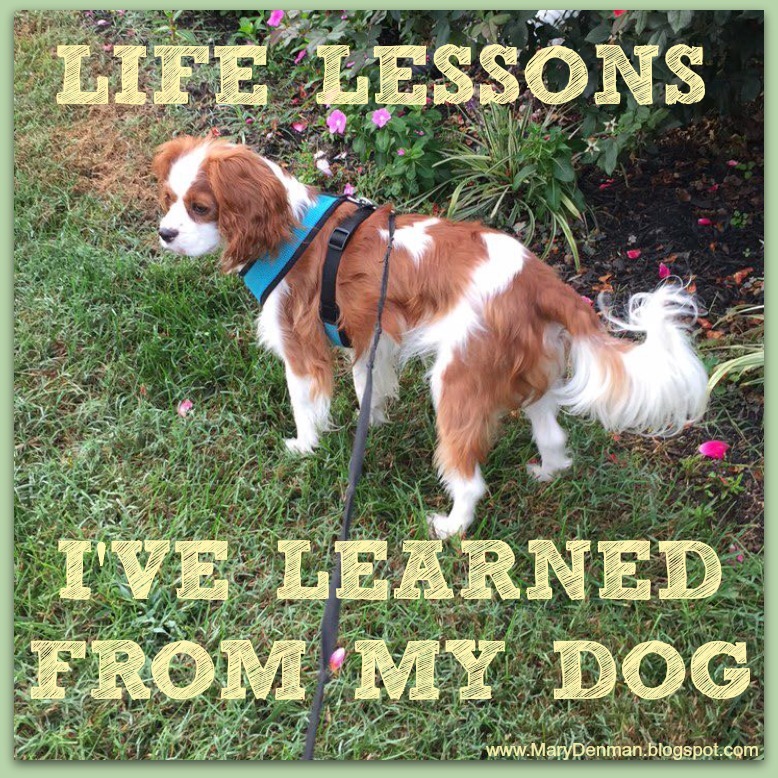 Life Lessons I’ve Learned From Having A Dog. 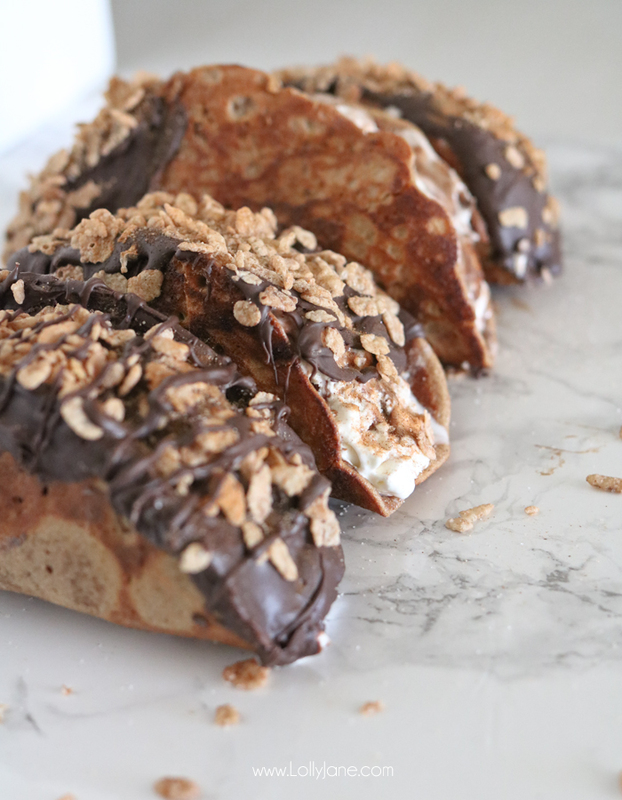 Lolly Jane share’s these amazing Cinnamon Pebbles Choco Taco. I could eat one now!! Tie Dye Duster Lace Up Hoodie. Love Julie’s from Sum Of Their Stories Button Clutch Bag Makeover. Love Erica’s embroidered skirt: Embroidered Skirt Look. 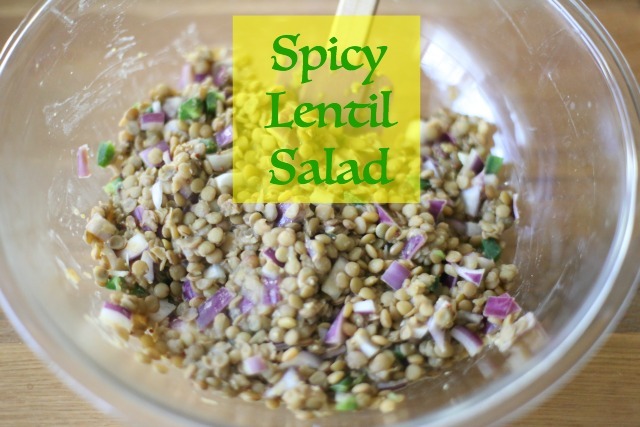 Heather from Our Life In A Click shares some tasty Spicy Lentil Salad. Please link up to a blog post of your choice. If you have nothing particular to share this week you can just link up to your homepage. Feel free to link up between 1- 5 different creative blog posts this week and every week. Please follower me your Creative Mondays blog hop host on any of the following social media platforms of your choice: Twitter, Google, Google+, Instagram, Pinterest. Any social media channel you like and use the most. It would be great and let me know in the comments how you have followed so I can stop by and follow you back. Please stop by, visit, comment on a few posts in the Creative Mondays blog hop list to make the hop fun for everyone. Please visit back if someone also stops by your blog. Please link back to this post in your blog posts. 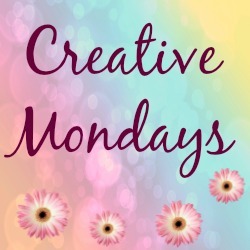 Or add the Creative Mondays blog button to your posts. Have lots of fun hopping around the list. Do not forget to join us on Wednesday for The Wednesday Blog Hop. Mother’s Day Treats With VQ And Bloom & Wild. Beet-a-ganouch,Sweet Chili Beetroot, Sumac Yogurt, Toasted Pine Nuts. Middle Name Pride Day: Welcome To The Weekend Blog Hop. Miso-Glazed Skrei, Carrot and Ginger Purée and Crispy Kale. "Mother’s Day Treats With VQ And Bloom & Wild"
"A Muddy Walk In Bakewell"
Thanks for stopping by Laurie 🙂 Aww, that is lovely Julia :):) Happy to hear you are having a good Monday too. choco tacos were a summer treat I used to LOVE! There are so many great features in this post! 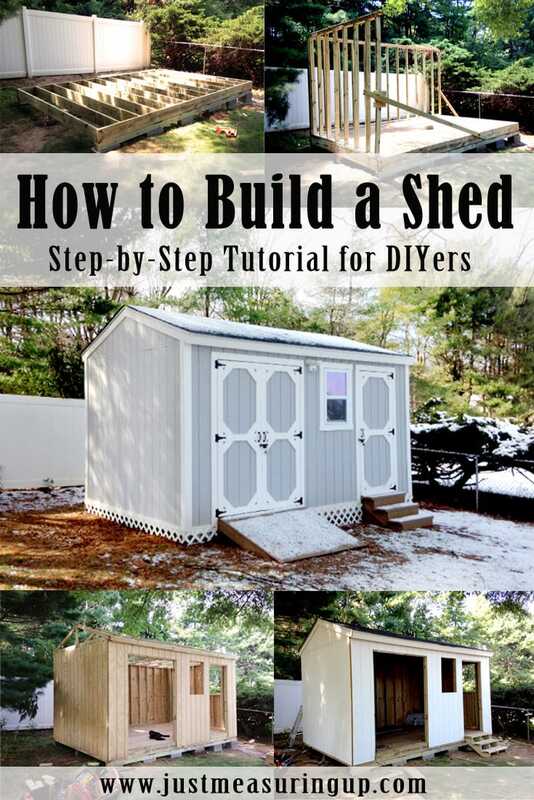 Thanks for sharing and for hosting! Mondays tire me out, too, but I love sending the kids back to school! Have a wonderful week! Thanks Debbie 🙂 Always love your style. Thanks for the feature! Happy Monday Claire! I'm exhausted just reading about your Mondays. Have a great week, Claire. Thanks for hosting and I hope that you will enjoy the rest of the week. Thank you for hosting – have a fantastic creative week!! I would utterly love Mondays if a week was comprised of Saturday, Sunday and Monday GRIN I hope you managed to get some rest, Claire. Thanks for hosting the party – have a great week! I am new. Thank you for hosting! Have a great week. Thanks so much for the feature Claire! 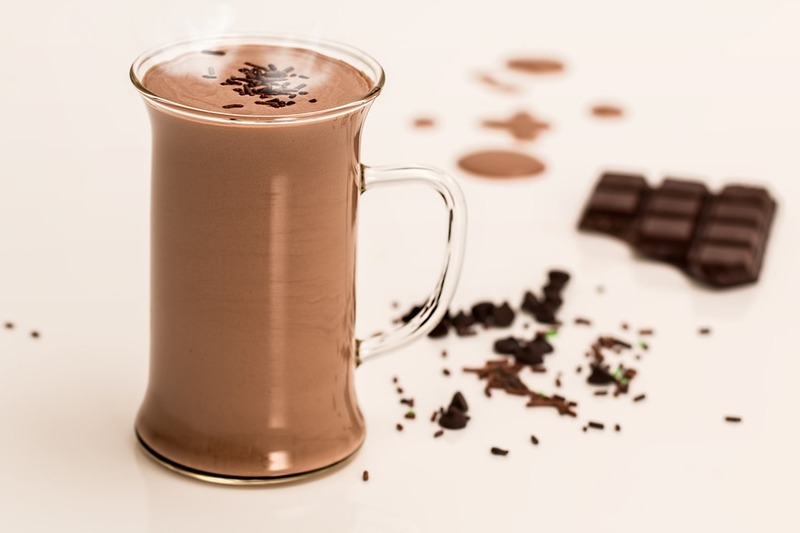 That chocolate drink at the end looks good!! Have a great week! Hello.Thank you for hosting us.